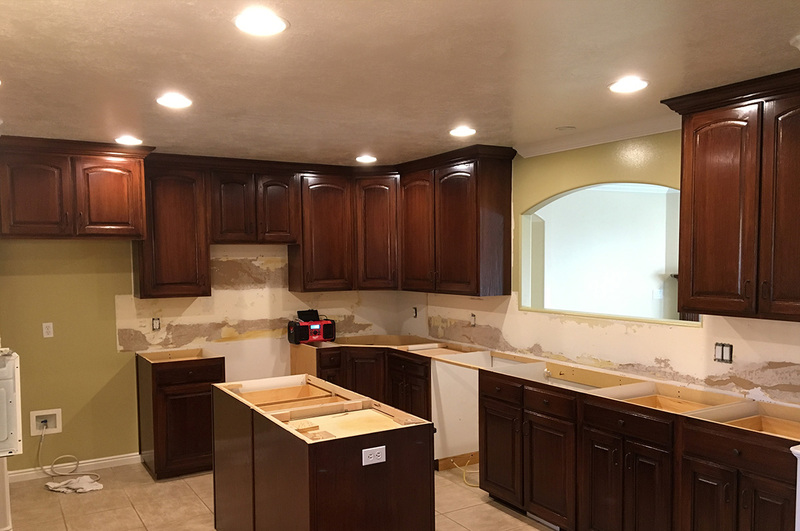 Refurbishing is a term defined similarly to restoration or refinishing. It is a word used by wood care professionals to clean, repair, restore and protect wood products from natural wear and tear that occurs naturally over time. 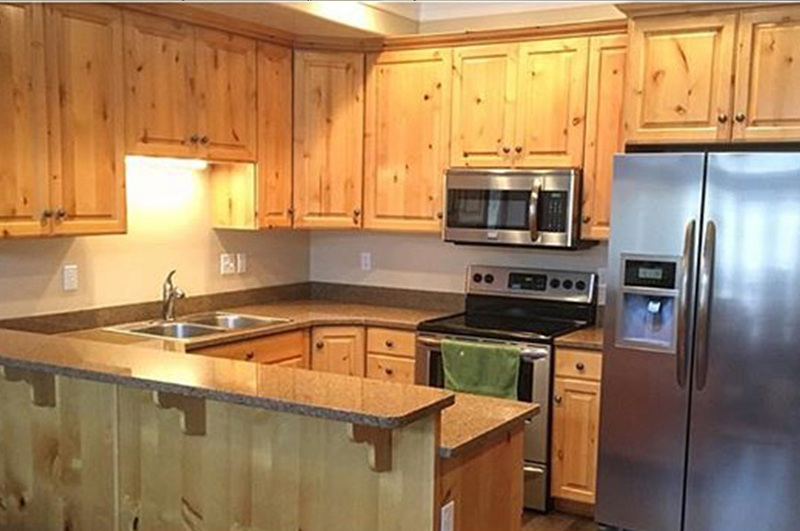 CABINET REFINISHING GIVES YOUR WOOD ANOTHER CHANCE AT LIFE. 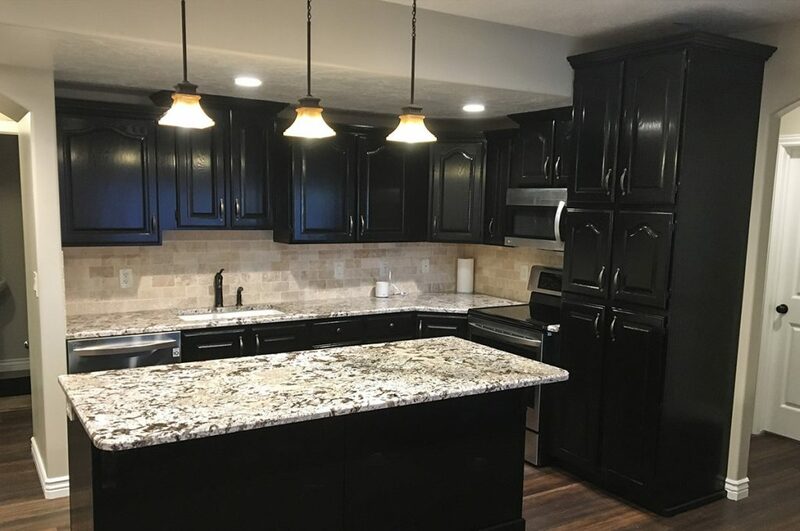 WoodWorks did a fabulous job refinishing our kitchen cabinets in our kitchen and bathrooms. I had them done 2 years ago. I recently called to get a scratch fixed from our dog. He refused payment and looked over the rest of the work to ensure longevity and durability. I will continue to refer them. 100%! We recently had a flood in our kitchen and had to replace our laminate flooring. 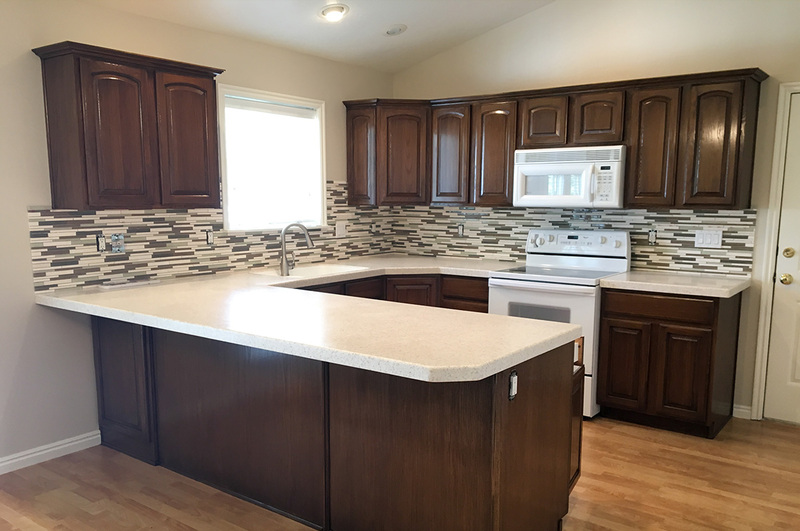 While the kitchen was torn up we decided to have our cabinets refurbished. We hit the jackpot when we found Derrick and Woodworks Refurbishing! 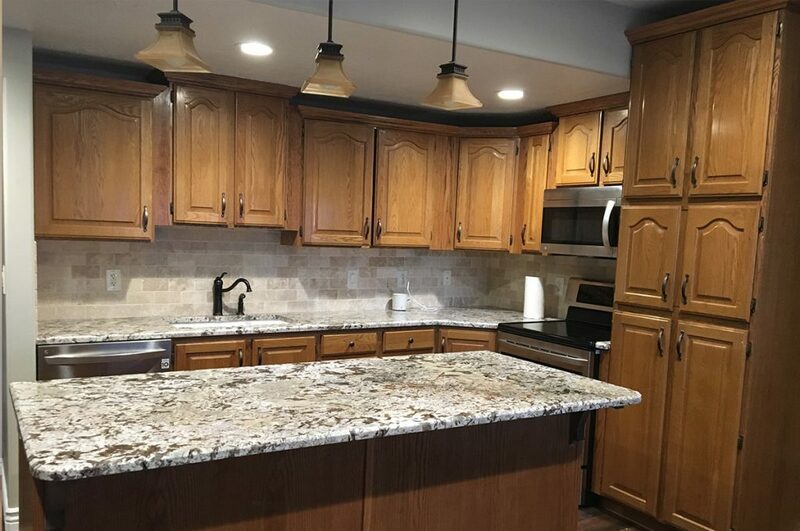 He has transformed our 20 year old oak, yellowy/orangey cabinets into a beautiful walnut color that makes me feel like I have a brand new kitchen! Best of all, Derrick was honest, hardworking and so nice; someone I could trust leaving him alone in my home. I also liked his willingness to share ideas and give me his input without pushing and making me feel like his way was the only way. I would recommend Derrick and Woodworks Refurbishing to anyone, especially my closest friends and family! Thanks Derrick!!! Very nice work. Happy with the results! Derrick is Efficient and courteous! 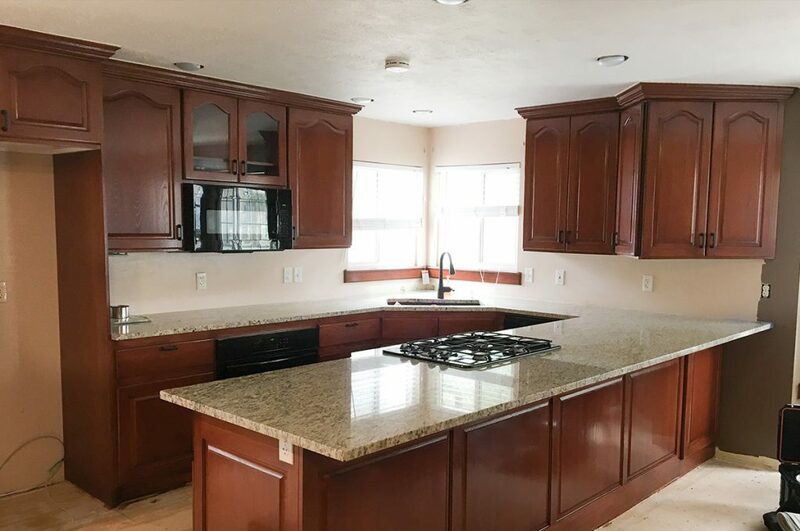 When we bought our home the kitchen cabinets were in such terrible condition. 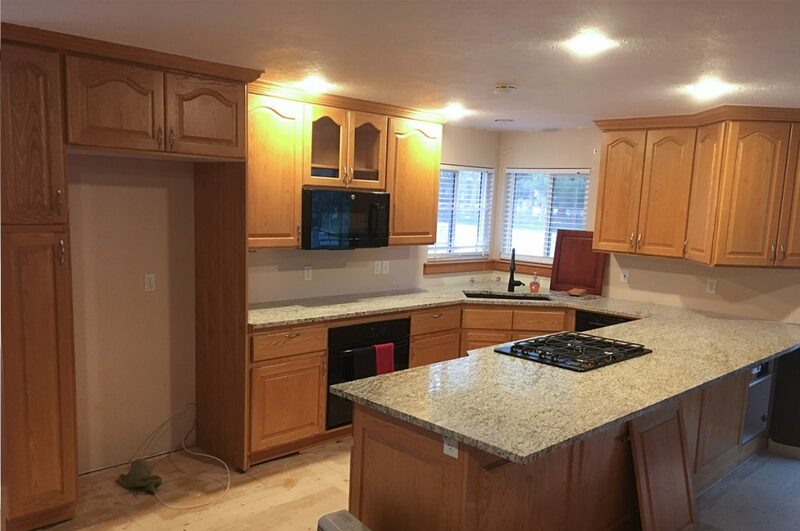 We called WoodWorks and were able to get an estimate pretty quickly. Derrick came and transformed our kitchen so the cabinets look like new! No more scratches, marks and scraped finish. We were very impressed by his integrity, work ethic and pleasant manner. 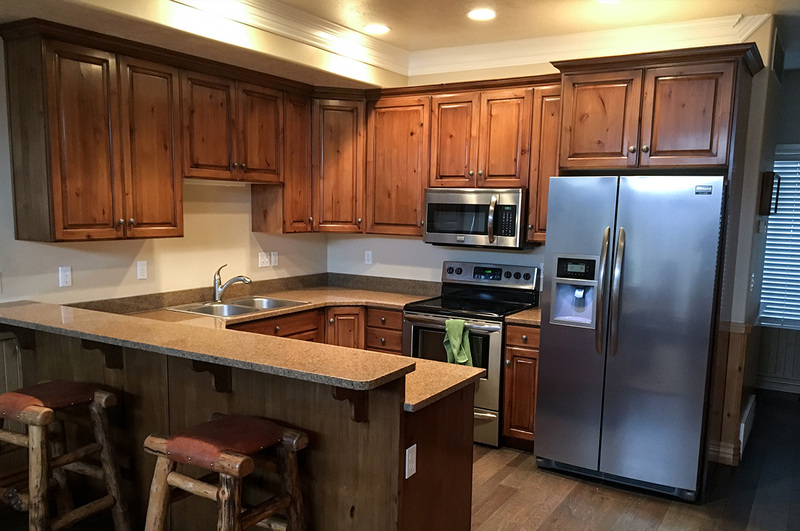 If your cabinets need an update, look no further than WoodWorks Refurbishing. 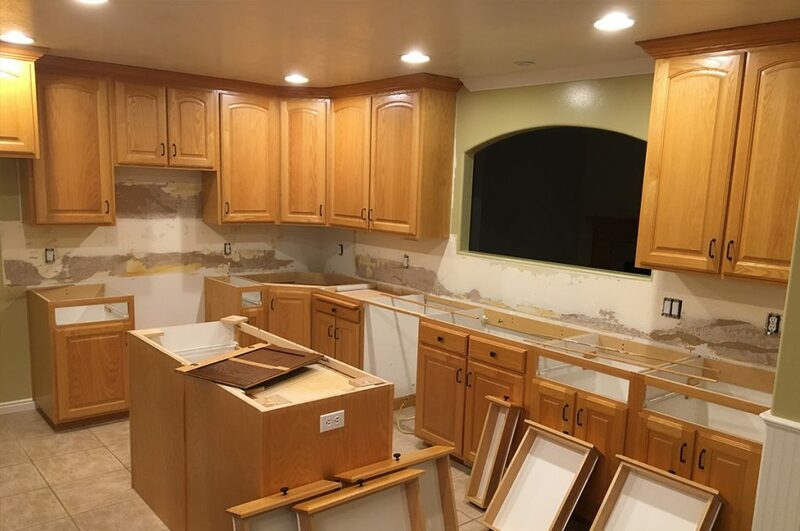 We just moved into our house and wanted to modernize the kitchen starting with the cabinets. They had good quality wood, but an oak-color finish that needed an upgrade. Derrick gave a reasonable bid and promptly scheduled our work. The job was completed in two days. 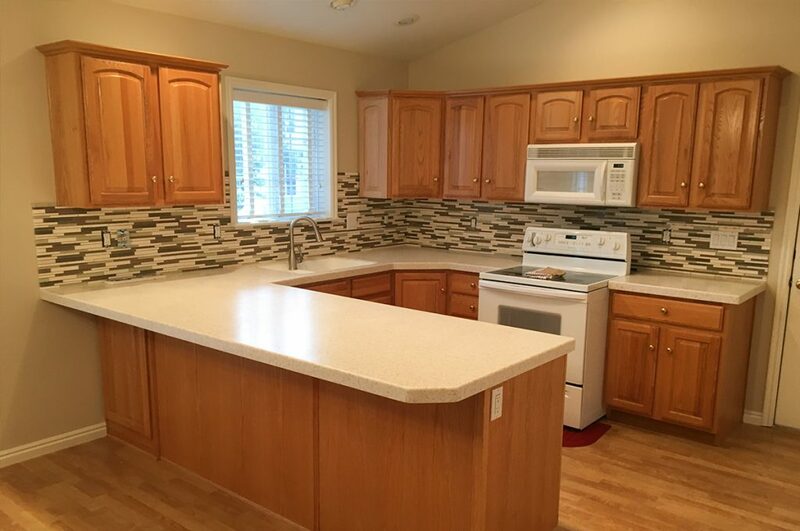 He expertly mixed the colors to bring the wood finish to the exact color we wanted. He finished it thin enough that the grain pattern is still visible. He even gave us a bonus by drilling the cabinets and drawers and placing on the knobs and handles. Derrick does fabulous work and we highly recommend him for your next staining project! This young man’s work is top notch!!! We have had WoodWorks do several jobs for us in the past, with nothing but superb results! Derrick is punctual, thorough, and has the best results. Would highly recommend WoodWorks! 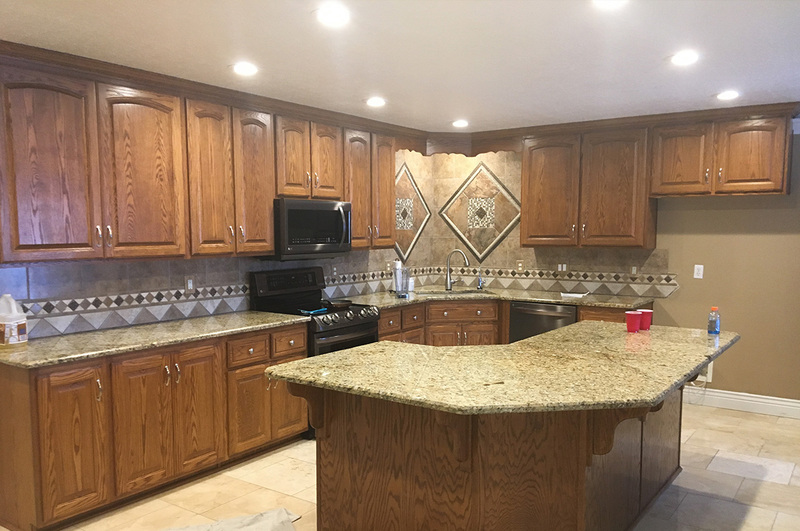 My kitchen cabinets had so many dings and water damage but they now look brand new. Derrick was very professional, showed up on time, and paid attention to detail. He was very careful about protecting my floors, counters and appliances. I am so happy with the finished product. 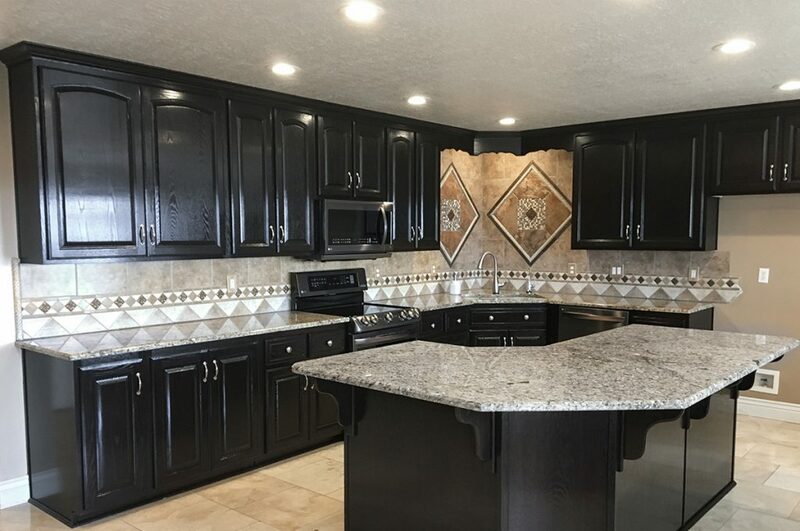 I highly recommend WoodWorks for anyone wanting to refinish their cabinets!! WoodWorks Refurbishing Inc was founded by Derrick Norman in 2006. After having dozens of jobs in a myriad of industries he reverted to his lifelong passion of working with his hands and entrepreneurship. 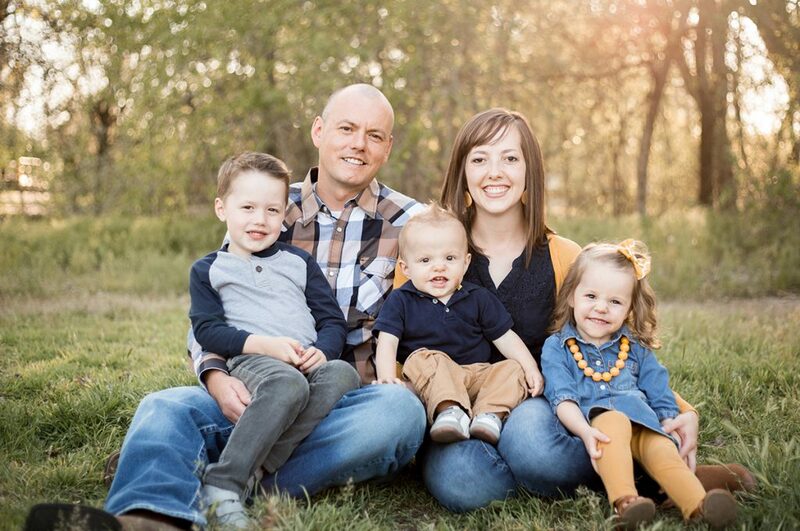 He loves quoting Thomas Edison’s “Opportunity is missed by most people because it is dressed in overalls and looks like work.” After graduating from Utah State University, Derrick took his business and passion all over Utah and has since refinished thousands of kitchens. He and his family reside in beautiful Cache Valley and he loves driving through the canyons to all his different job sites around the state. His other passions include fishing, hiking, camping, backpacking and quite literally anything that has a motor. Derrick believes in good old-fashioned hard work and creativity. He enjoys working with, and getting to know, all of his clients. He is excited to help you on your next refinish project.